The Boeing P-8 Poseidon is a military aircraft developed for the United States Navy (USN). The aircraft has been developed by Boeing Defense, Space & Security, modified from the 737-800ERX. 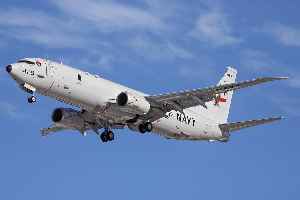 The P-8 conducts anti-submarine warfare (ASW), anti-surface warfare (ASUW), and shipping interdiction, along with an early warning self-protection (EWSP) ability, otherwise known as electronic support measures (ESM). This involves carrying torpedoes, Harpoon anti-ship missiles, and other weapons. It is able to drop and monitor sonobuoys. It is designed to operate in conjunction with the Northrop Grumman MQ-4C Triton Broad Area Maritime Surveillance unmanned aerial vehicle.